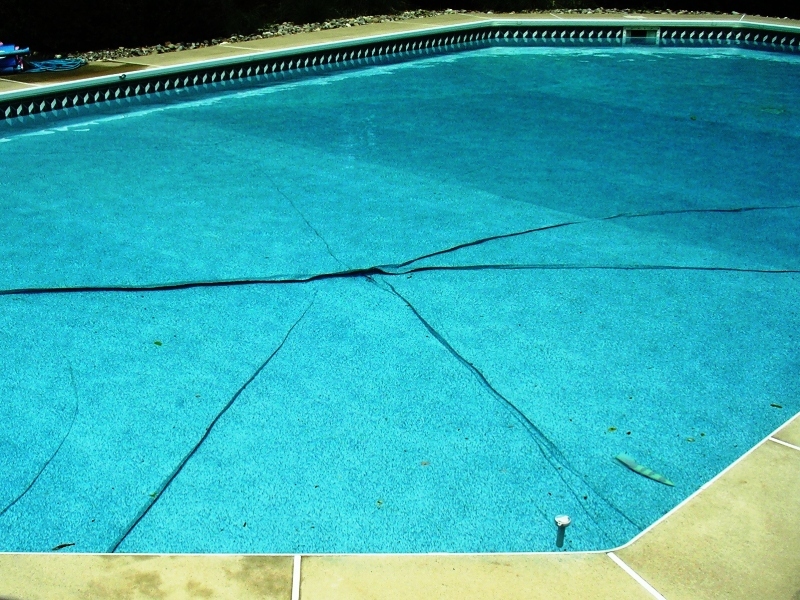 Problems and Solutions Pool System | APCO Pools Specialties, Inc. 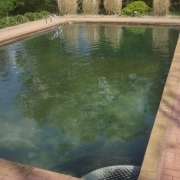 Problem - Live algae growing in the pool water. Solution - See Basic Pool Chemistry in the Help Center. BEFORE - Six year old liner coming out the track. 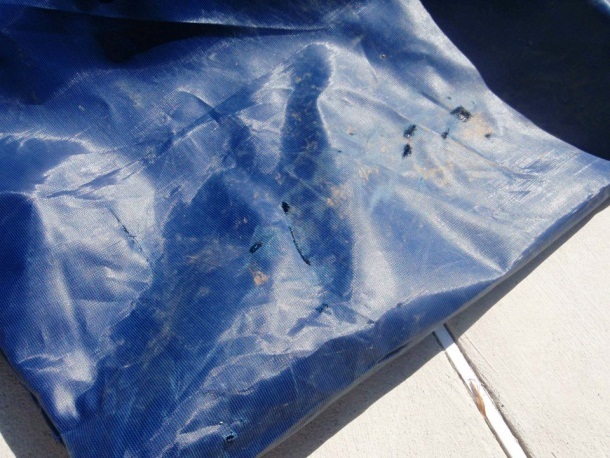 Overtime vinyl liners become stiff and brittle and may not be able to be reinstalled. Old vinyl will not stretch and may tear or crack. 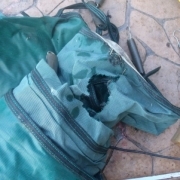 In that case, Beadlock can be installed on both sides of the liner so that it does not continue to unzip. 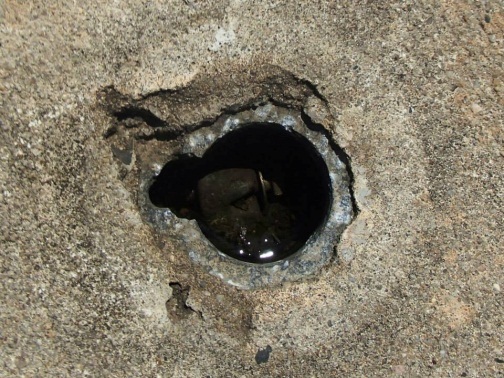 AFTER - Reinstalled six year old liner and also installed "Beadlock" to help prevent this from happening again. 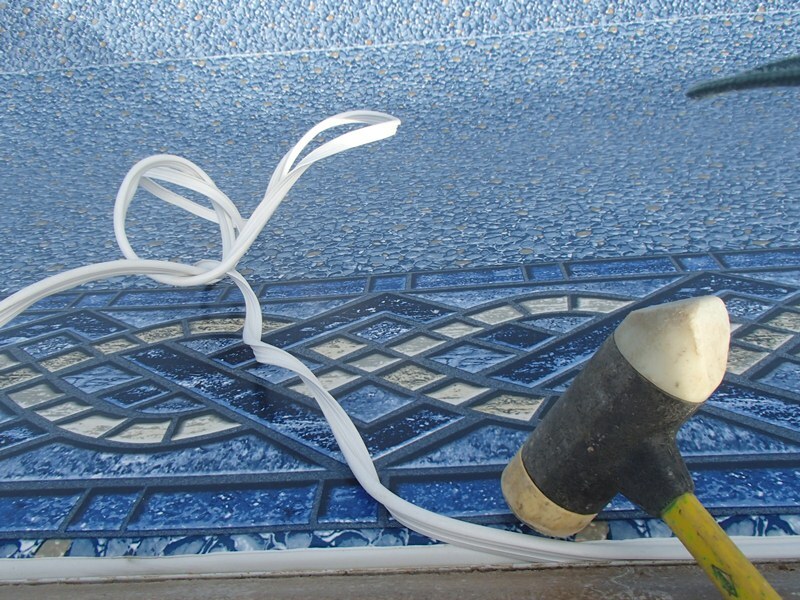 Beadlock - A white cording that is installed in the tracking with the liner to help keep the liner in place. 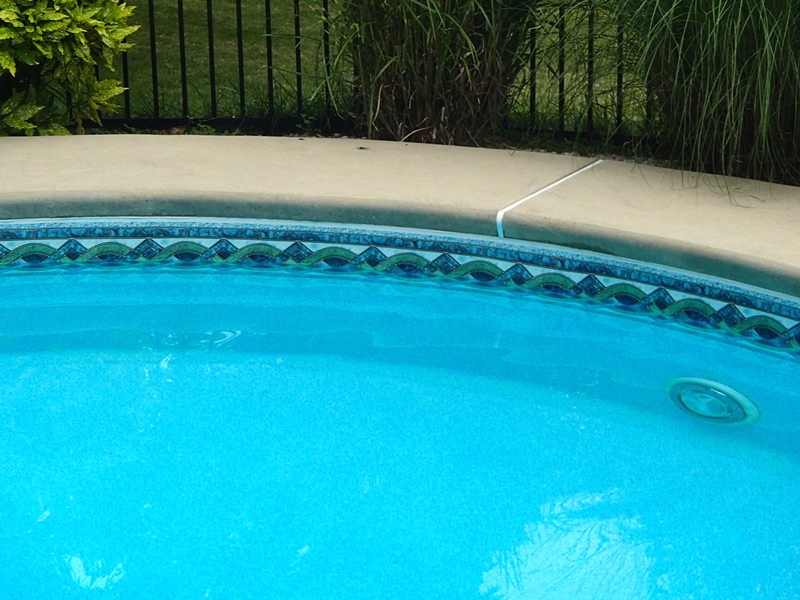 This procedure can only be done when the weather is hot and sunny to soften the liner as much as possible. Solution - Installing Beadlock with a white rubber malet. Problem Wrinkles in Liner Wrinkles can happen for several reasons. Large folds almost always occur after a liner has floated and reset itself. The following are the most common causes why a liner floats. 1.) 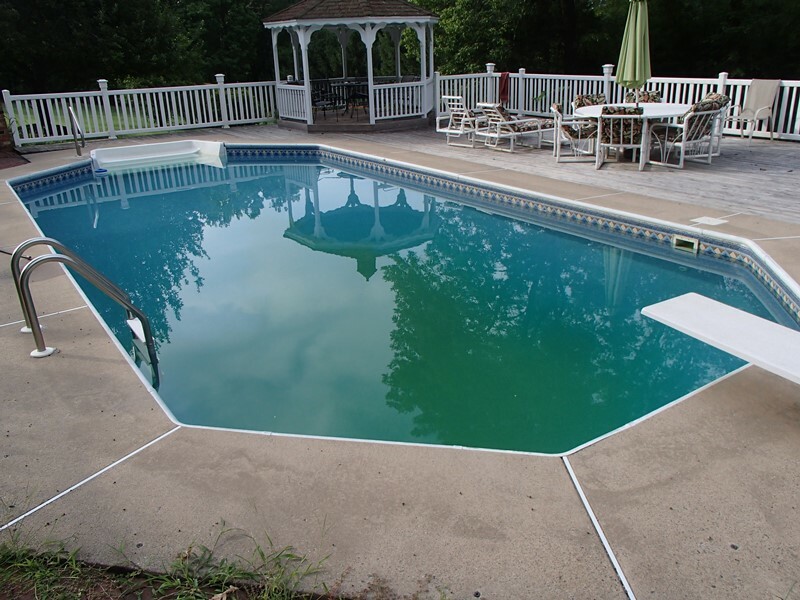 Pool water - A leak in the pool causing excessive water behind the liner. 2.) Surface water Typically this comes from rain or melting snow. 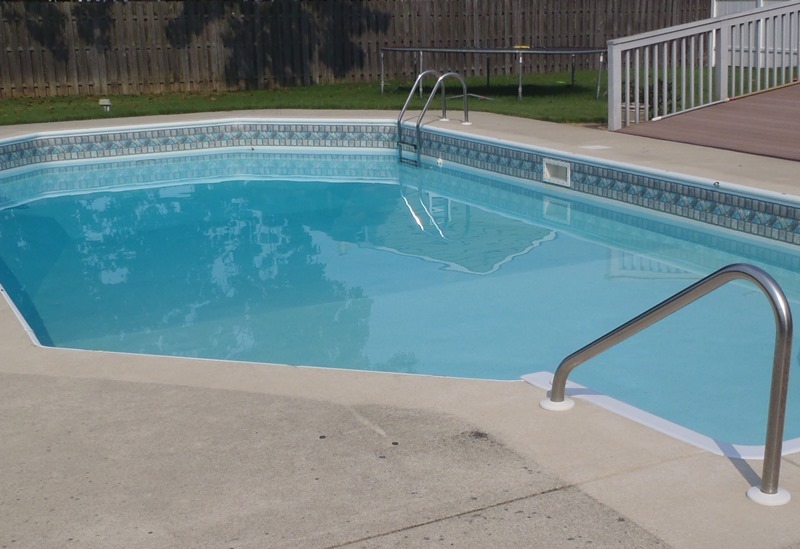 Rain gutters, neighbor's yards or extensive landscaping will allow water to flow easily towards the pool. 3.) Ground water Areas with a high water table. 4.) 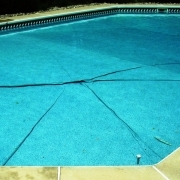 Lack of water This is typically caused when a pool owner mistakenly lowers the pool water too low. 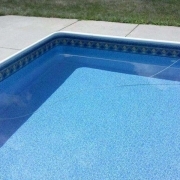 Solution Wrinkles in Liner Removed Without Draining Pool. 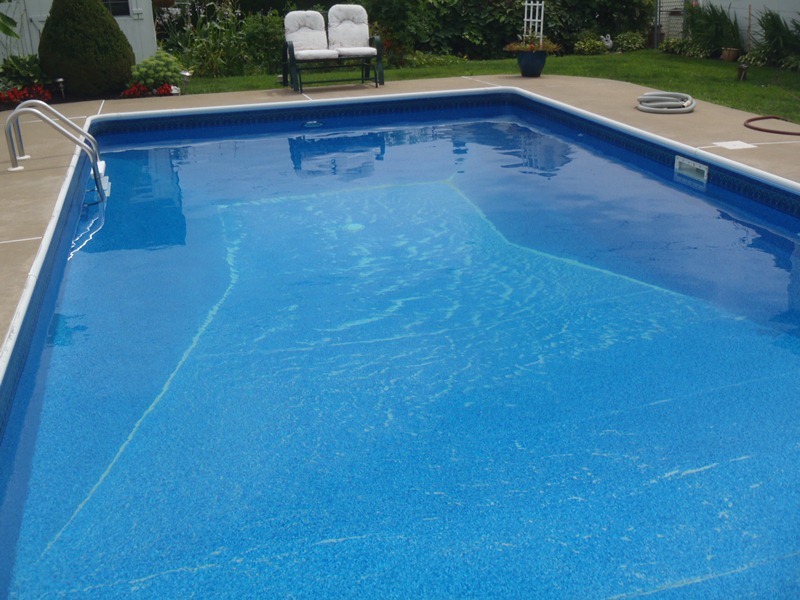 Wrinkles can often be removed without draining the pool, depending on the age and condition of the liner, and the size and location of the wrinkles. 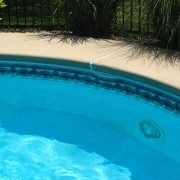 The most important factor in preventing every liner from floating is to maintain as much water as possible in the pool. 1.) 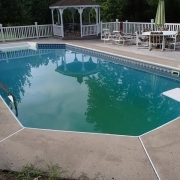 Pool Water Repair any known leaks before attempting to remove wrinkles or they will most likely come back. 2.) Surface water Reroute the water away from the pool. Rain gutters need to point away from the pool. 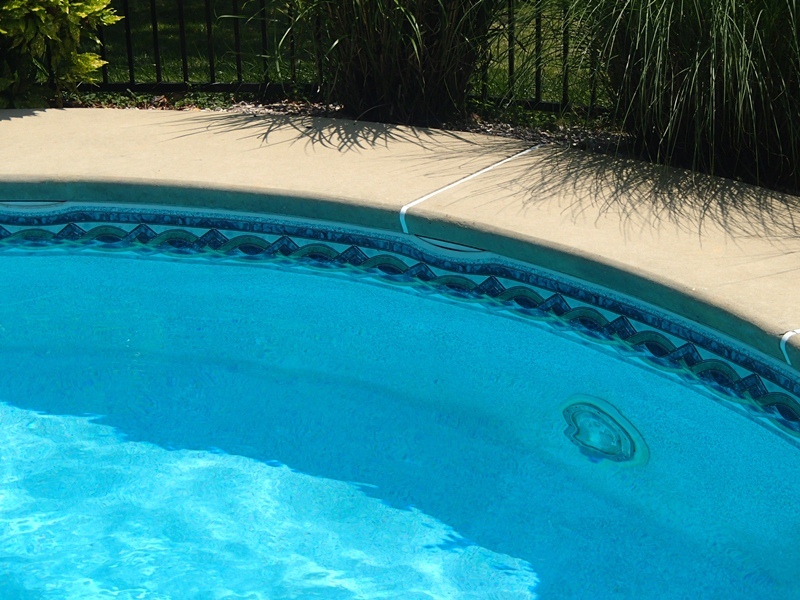 French drains may be needed to be installed around the perimeter of the pool. Landscaping may also need to be redone. 3.) 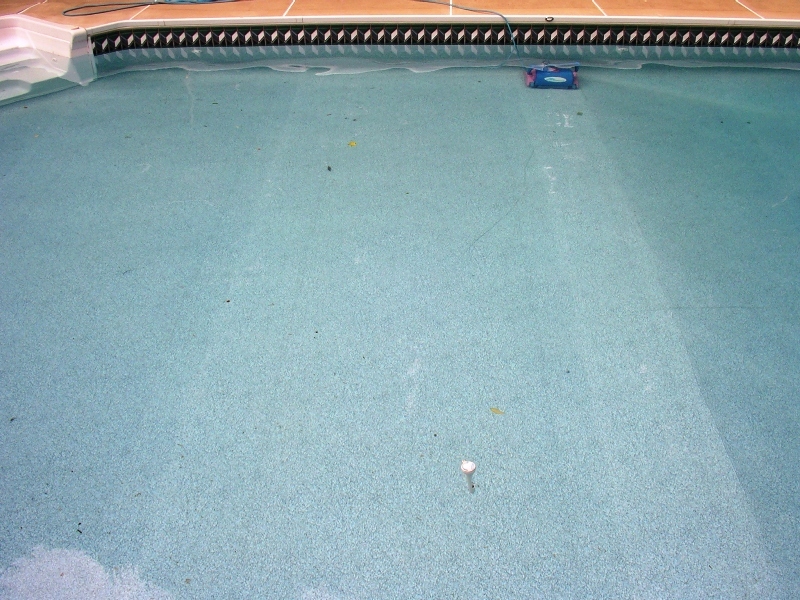 Ground water Unfortunately, high water tables will add to the severity of many floating liners and there is not much a pool owner can do. 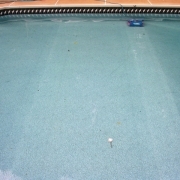 Always keep the water level in the middle of the skimmer or higher to keep as much pressure as possible on the liner. 4.) 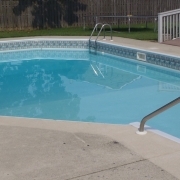 Lack of water Pool owners mistakenly lower the water level thinking that they’re helping. This is especially important when it is raining heavy or the snow is melting and the ground is completely saturated. We never recommend removing water at this time. 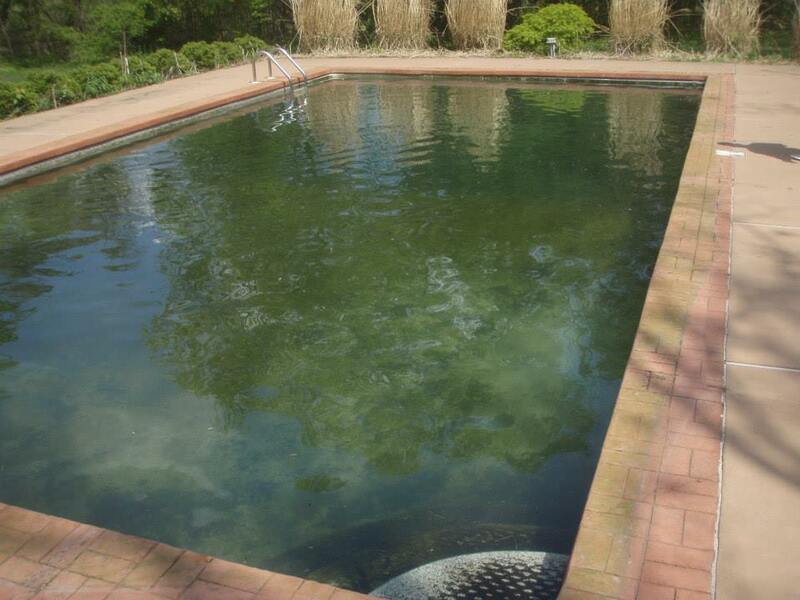 Problem - A pool full of live green algae at the pool opening. 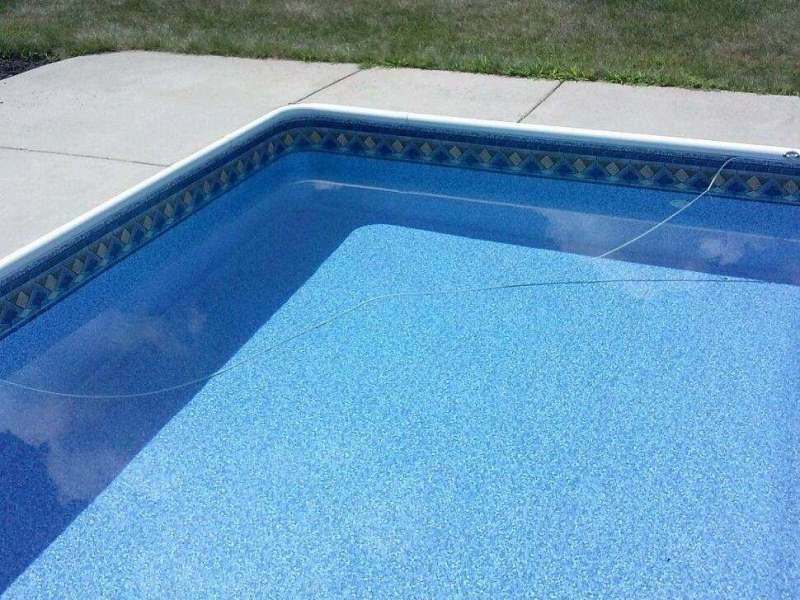 This pool had a regular "MESH" safety cover. The sunlight goes straight through the cover causing algae to grow. 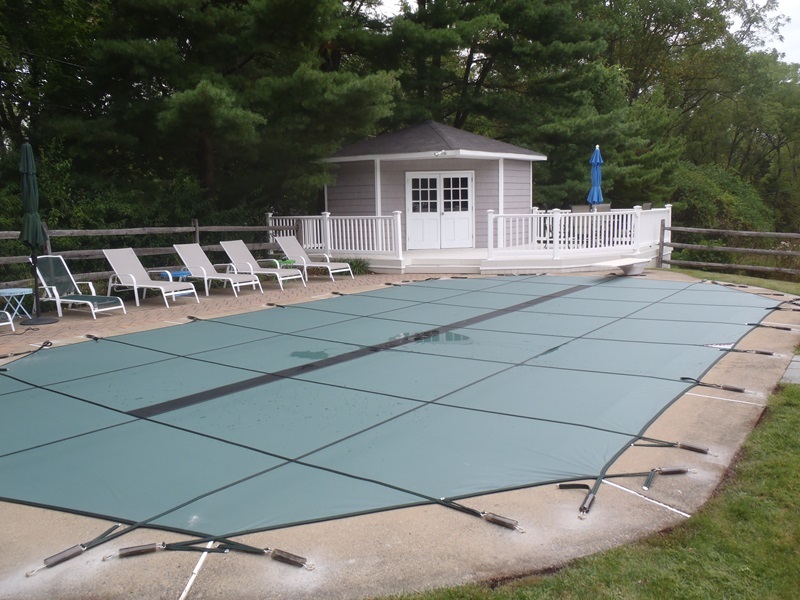 Solution - Replace your "Mesh" safety cover with a safety cover that does not let the sunlight go through. 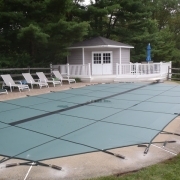 Solution - Install Mesh Mate before covering your pool with a mesh safety cover. 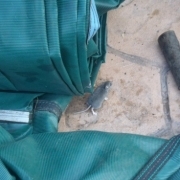 Problem - These little critters can ruin your safety cover. 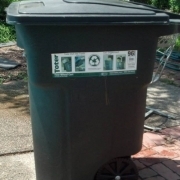 Solution - Store safety cover in an over-sized trashcan with lid. Drill a few holes at the bottom for drainage. 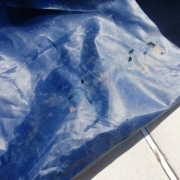 Problem - Safety Cover storage bag that has holes in it is a sign that it is being dragged across the concrete. 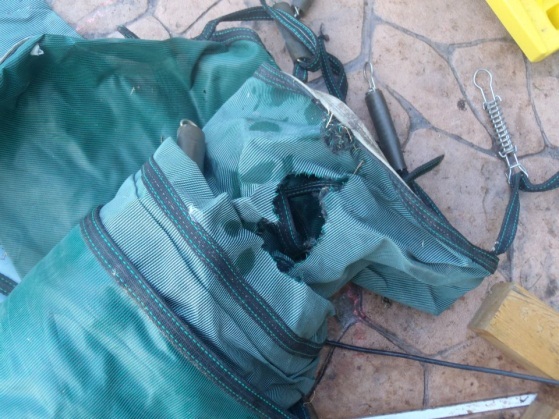 If there are tears and holes in the bag, than this may cause rips in the safety cover. 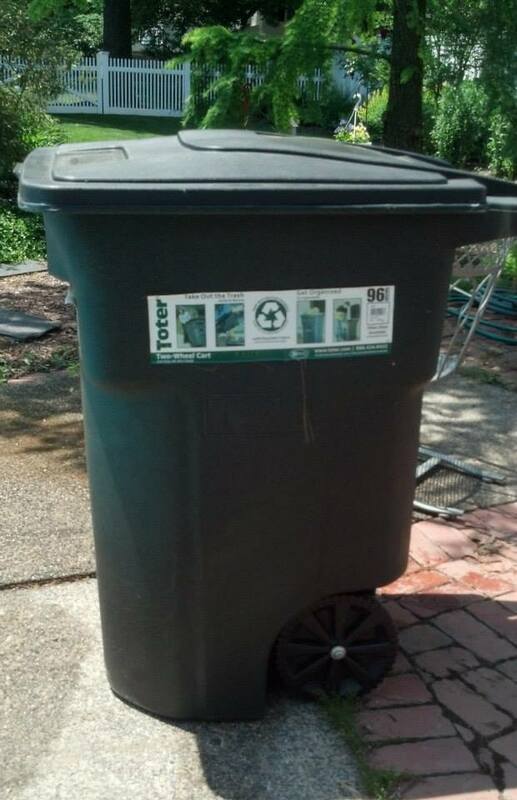 Solution - Store safety cover in an over-sized trashcan with a lid and wheels. 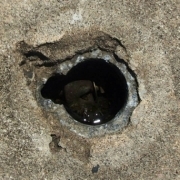 Drill holes at the bottom of trashcan for drainage. 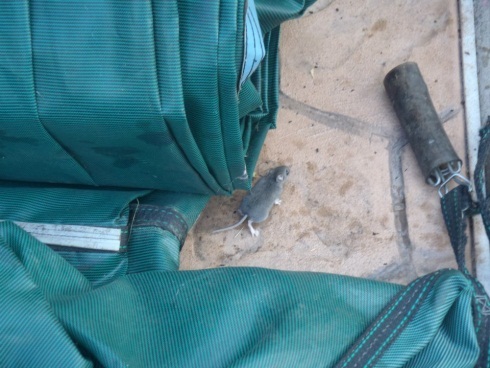 Make sure that there are no holes around the lid area that field mice can enter. It is also a good idea to store your small parts in the trash can so they are organized and easy to find. 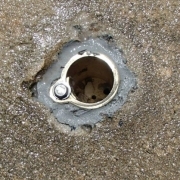 Problem - Unsafe, broken, and corroded aluminum anchor for a ladder or handrail. 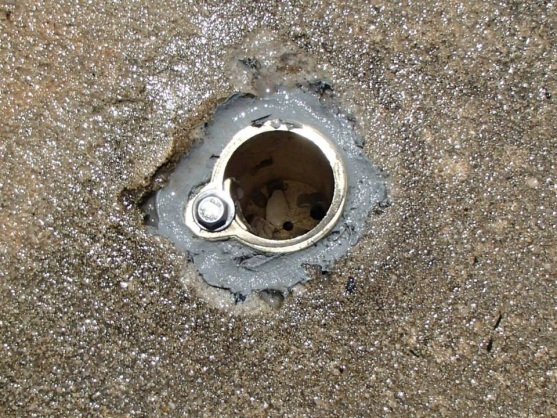 Solution - Replace the damaged aluminum anchor with a corrosion resistant bronze anchor. 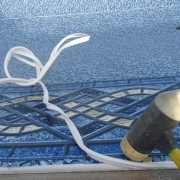 Problem - Lowering the water at the closing on vinyl liner pools. 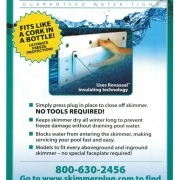 Solution - Skimmer Plug - Blocks water from entering the skimmer. 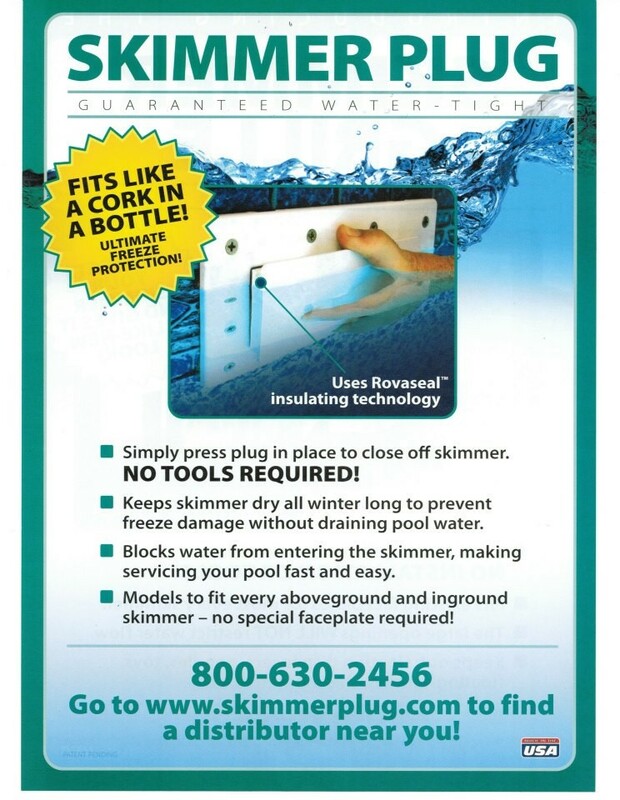 Simply press plug in place to close off skimmer. 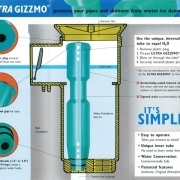 Used with an Ultra-Gizzmo (next page), there is no need to lower the water. 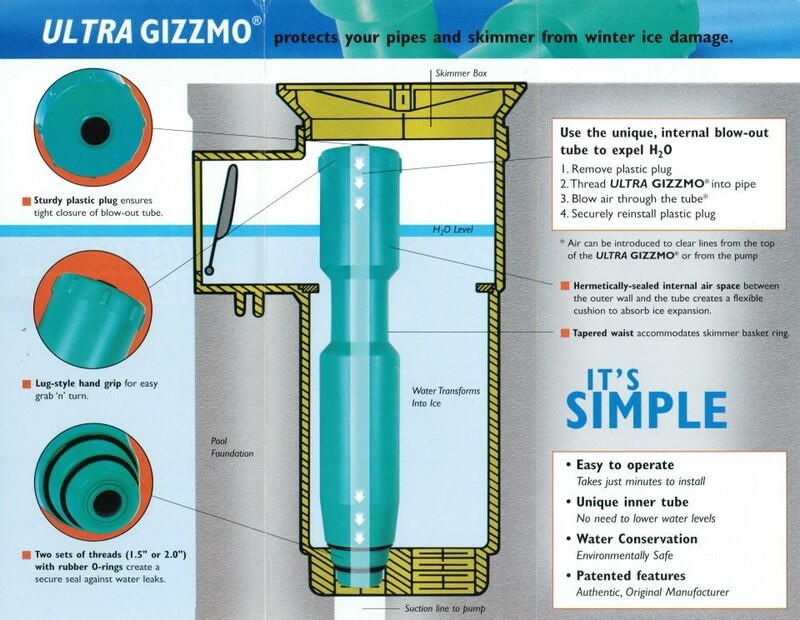 Solution - Protects your pipes and skimmer from ice damage. 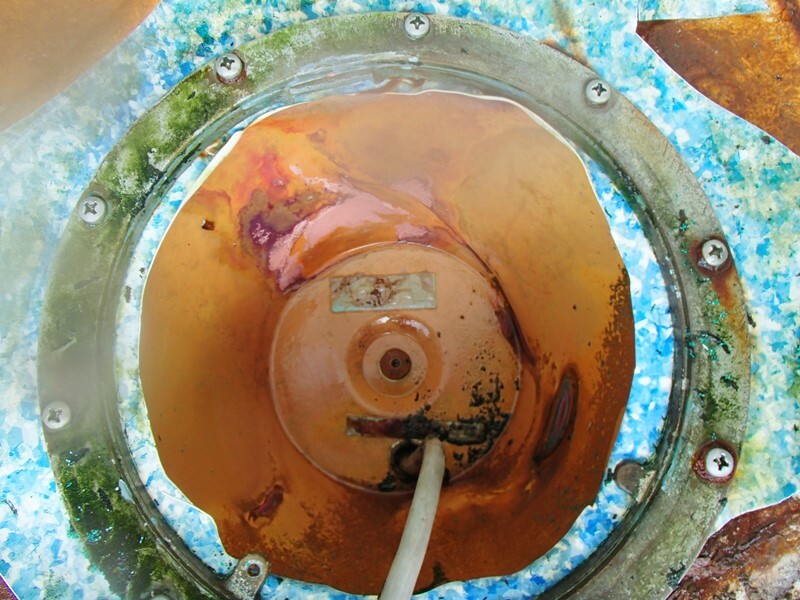 Problem - Leaking Copper Light Niche: Many pools that are over 30 years old have a copper light niche. 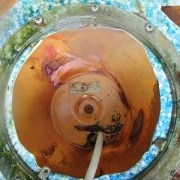 The copper deteriorates over the years from water chemistry. Trying to repair a leaking copper light niche is extremely risky. Eventually the copper becomes as thin as aluminum foil and trying to repair it can puncture the metal. Once the copper light niche leaks, it cannot be salvageable as it is too frail and thin.